Red Wheel ∕ Weiser Online Bookstore | The Secret History of Consciousness: Ancient Keys to Our Future Survival by Meg Blackburn Losey, Ph.D. 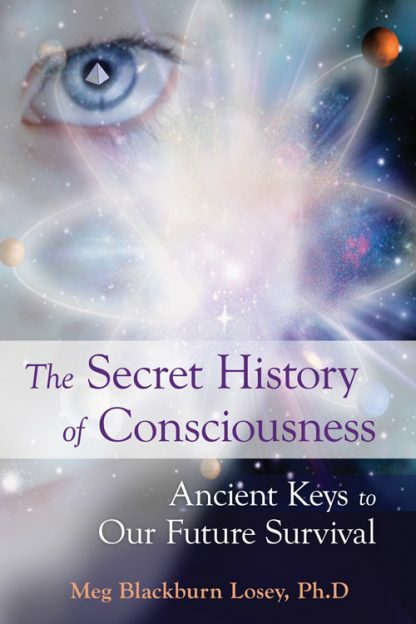 In this new book, she reveals the secrets that were known to the ancients but lost to the modern world.�Secrets about consciousness and the relevance of sacred sites from around the globe. She uncovers the true meaning of the Mayan Calendar and links sacred geometry, the Kaballah, the Flower of Life, the Pyramids, Atlantis, Lemuria, and more to reveal that these ancient secrets show us that we are all unlimited beings of creation.�Dr. Meg invites us to open our minds and hearts to the meaning of our shared and hidden history and offers simple meditations that will allow each and every one of us to become conscious of the change we are creating together.